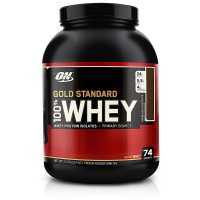 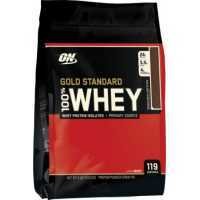 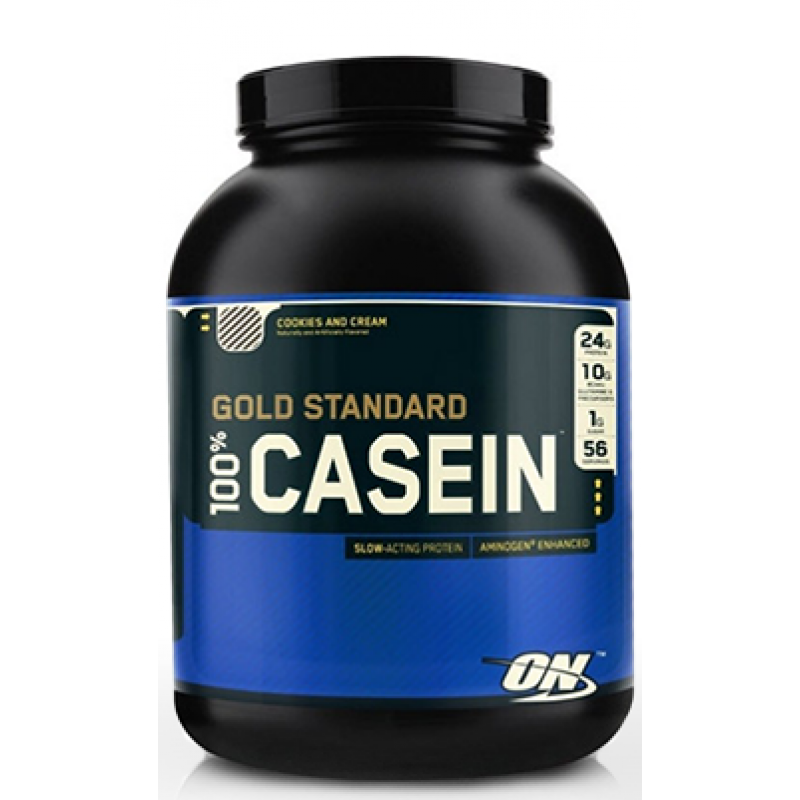 Optimum Nutrition's Gold Standard 100% Casein is an ultrapure form of micellar casein protein. 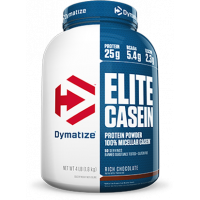 Each serving provides a huge serving of muscle-building casein protein with hardly any calories from fat or carbohydrates. 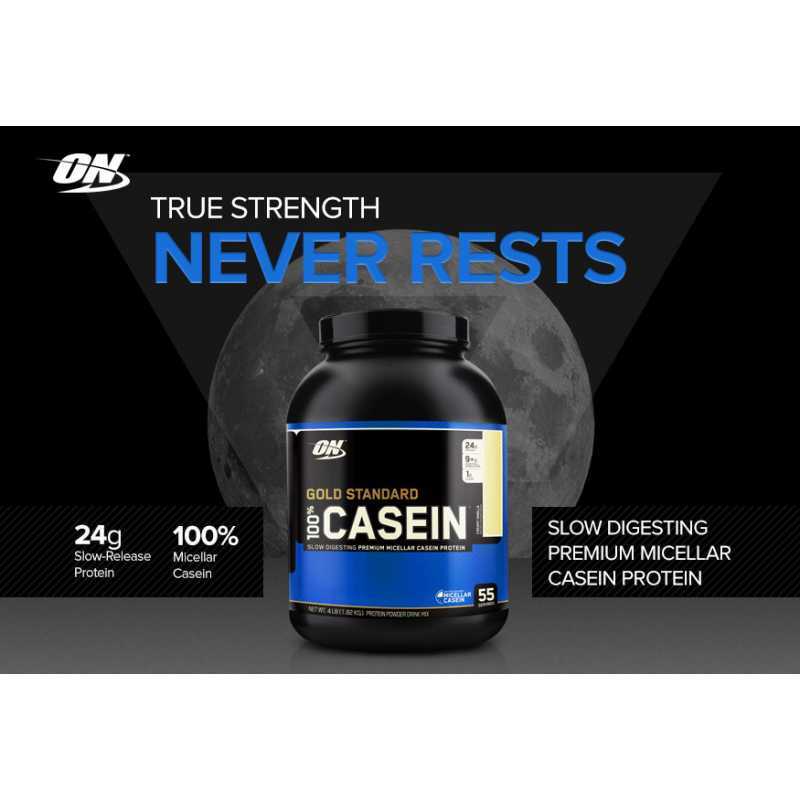 Casein is a favorite of both gainers and dieters for its anabolic effects on muscle growth throughout gaining phases and preservation of muscle during dieting phases. 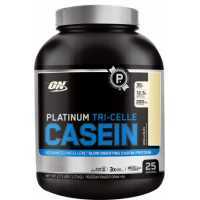 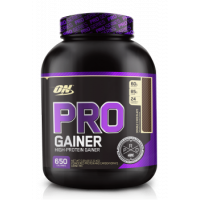 Casein and whey are both derived from milk protein, and each is absorbed and utilized in an entirely different manner. 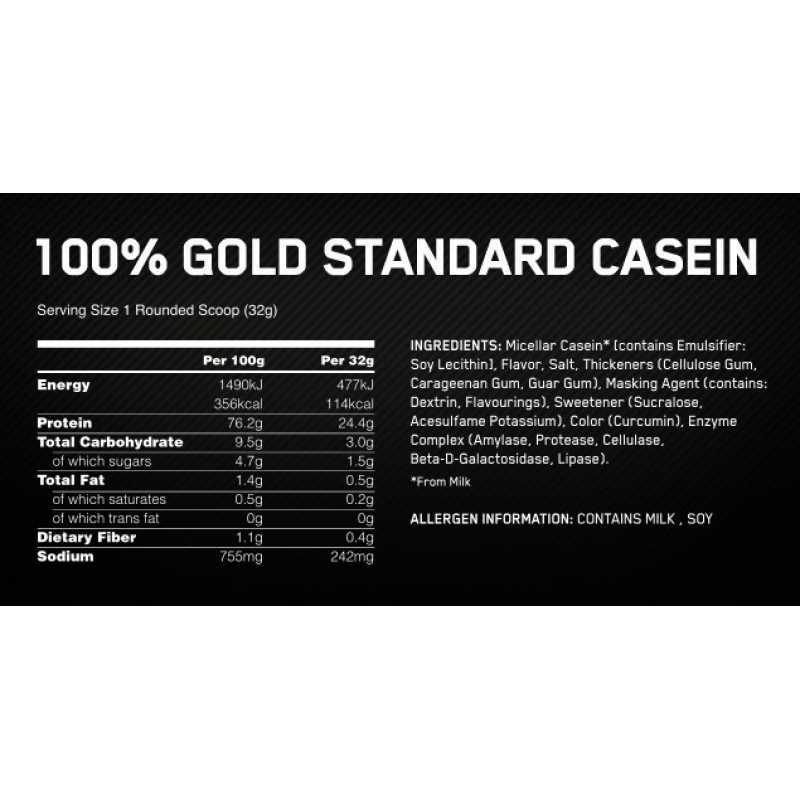 Whey is broken down and absorbed rather quickly offers consumption while casein forms a viscous gel in the digestive tract, allowing the component amino acids to be absorbed over a much longer period. 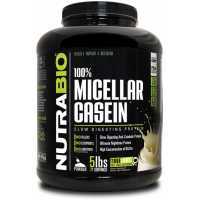 Whey is usually taken immediately after a workout to take advantage of its fast absorption while casein is typically taken during other times, especially at night or a couple of hours before a planned workout. 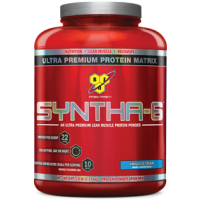 This allows amino acids to be delivered during and after workouts and also while you are asleep, ensuring optimal nitrogen retention in muscles during these important times of recovery. 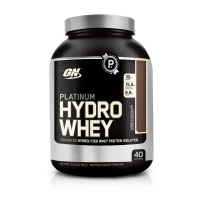 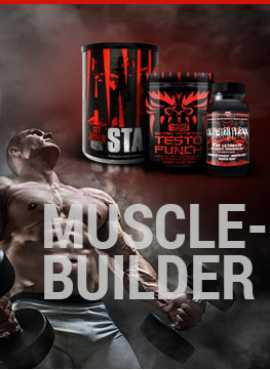 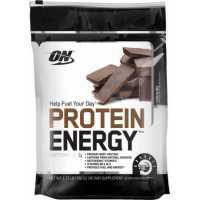 Optimum Nutrition Protein Energy The latest innovation from industry leader optimum nut..